Our computer and Microsoft Office training Surrey will increase YOUR productivity – guaranteed! Are you struggling to make the best use of Microsoft Office? 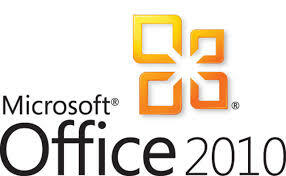 We offer Microsoft Office training and consultancy within the Surrey area and beyond. Our computer training Surrey courses can all be tailored to meet the needs of the individual or company. We can also use the files used in the company instead of generic training files. This makes the learning more relevant. Productivity is quickly increased. Confidence grows in using the computer packages. We can provide Training Needs Analysis forms which will help pinpoint present skills levels and those required for job roles. We can then create a suitable training program. Visit our blog If Only I’d Known That. We have called it that because we hear it so many times in training. In fact, if only we had an extra £100 for every time someone says “If only I’d known that.” Many of the blog posts come directly from questions asked in our training sessions. Our Microsoft Office training Surrey includes Microsoft Excel training Surrey, Microsoft PowerPoint training Surrey, Access VBA training Surrey, one to one computer training Surrey, etc.